Conversion Rate Optimization (CRO) is one of the most important tools which can be used to improve the performance of a website in terms of optimizing both user experience as well as the landing pages of the site. 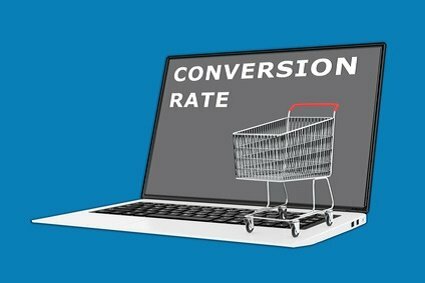 As far as the definition of conversion rate optimization is concerned it refers to the method that uses analytics and feedback from the user to improve website performance. CRO helps to improve the key performance indicators (KPIs) of a website that ultimately translates to an increased number of website users, higher conversions, registrations or downloads. At the very basic level, CRO helps to find out what users expect when they land on your website and then work to provide just that. CRO may involve a number of different actions that include removing of time-consuming steps during conversion to new clients, making the call-to-action more effective and apparent, relocating complicated steps, etc. There are different methods of CRO depending on the KPI that needs to be improved. Any website that is not easy to navigate through, a website that looks or sounds shady, or any website that does not prove any value for the visitor quickly, will cause the visitor to move away from the specific page even if they are determined to take a positive action. In most of the cases, the website owner pays for the traffic that is visiting the website. Therefore, CRO helps to improve the return on the investment. The cost effectiveness increases when higher conversion of the existing website visitors takes place rather than trying to attract more visitors. It cuts the customer acquisition costs into half. All CRO is directed towards giving the website visitor what they want before they get tired and leave the page never to come back again. Let us look at a few other reasons why CRO is becoming all the more important for a website. Pay-per-click costs are rising in proportion to the rising demand of website platforms. Some time ago, pay-per-clicks was finely suited for small businesses that were in need of attention in their starting stages. However, it has been observed that if all the clicks do not get converted into sales, the idea is not a profitable one. However, CRO would help to make most of the clicks received by the website so that they would actually end up funding for themselves. There has been a drastic increase in the number of online retailers and this simply means that there are more competitors taking away your customers. To convert the visitors on your page to your customers, you need to have a website that is easy to use and works to funnel website visitors into picking up the product, registering to seek more information (e.g., a newsletter). CRO helps you keep your website at a spot ahead of the rest of the competitors. Most consumers of today have shorter attention span than the ones a few years ago. There are a number of psychological studies that have established this fact. For the website owner or the online retailer, it means that if the visitor does not quickly find what they need or quickly find out how to use the website to find out what they need, they move out of the website page soon and never return back to the page in a majority of the cases. CRO works to hold the attention of the shopper while on the page. There is a need for the website operations to be streamlined; that is, the product categories have to be clear so that visitors will be able to easily spot what they are looking for, they are able to search the inventory easily, find answers to the questions they may have regarding shipping of products, payments or refund policies, and are able to open the shopping cart and adding the product of their choice using just a click of the button. CRO helps to build a clear bridge from the landing page to buying the product. Many of the e-commerce website owners work with affiliate marketers to get feedback on their products. The affiliate marketers have a readymade platform with an audience that is engaged. CRO helps to add value to your website. The affiliate marketers also make more money when you make more money. This is also true of any pay-per-click or social media campaigns that you connect to your website. CRO sometimes needs a page redesign which helps to make sense to the website visitors. A good design can reduce the shopper’s anxiety and help them find what they need quickly. If they do not, they will simply move to another website that they feel is good. Increased conversion rates directly translate to increased profits. The website owner does not pay more to acquire new customers and his directly contributes to the bottom line. It also provides extra money that can be used to acquire new users. Reason #8: CRO is a continuous process. There’s always a reason to improve a website’s appearance and better the user experience. No matter as to how good a website’s appearance is or how easy it is to get what the user wants, there is always scope for improvement. The website can be continuously improved for better results than now. CRO is not about just finding any customer but finding the right customer for your product. Such a customer would love your product and talk well about it to others as well. Ultimately CRO is all about getting geared to becoming slightly better than your competitors. If your website is only slightly faster or better than your competitors, the visitors would stay with you for a long time to come.